We are honored to welcome Healthfirst again this year to the Street Festival. Healthfirst® is a not-for-profit health insurance company sponsored by some of the most prestigious hospitals and healthcare systems in New York. It serves close to 1.2 million members in New York City and in Long Island through government-sponsored programs including Child Health Plus, Medicaid, Medicare Advantage, and Managed Long Term Care (Senior Health Partners), as well as through private health plans including Healthfirst Leaf and Qualified Health Plans, offered on NY State of Health, The Official Health Plan Marketplace. It has also just launched the Healthfirst Essential Plan, which offers even lower cost options for qualifying individuals. Healthfirst offers a 4-Star Medicare Advantage plan, and is the only Medicaid Plan in NYC and Long Island rated 5 stars two years in a row. Bronx Borough President, Ruben Diaz Jr has Proclaimed that 7/14/2018 is officially "Go Africa Day"! We are honored that the Bronx Borough President, Ruben Diaz Jr. has issued a proclamation declaring 07/14/2018 “Go Africa Day”! we look forward to celebrating this and other matters at the Go Africa Harlem street festival on 7/14/2018. The Go Africa Harlem Street Festival will take place on 07/14/2018. Ruben Diaz Jr. first entered public office as a member of the New York State Assembly in 1997, and is currently serving his second full term as Bronx Borough President, having been reelected in November 2013 with more than 89 percent of the vote. As borough president, Ruben Diaz Jr. has led the implementation of a robust agenda—on economic development, housing, education, and public safety—in every corner of the borough. The Bronx has seen over $7 billion in new development of all kinds since Borough President Diaz took office in 2009. This includes more than $600 million in housing, building nearly 13,000 new units, and the creation of more than 15,000 new jobs. More than 14,000 new jobs have been created in The Bronx since 2009, thanks in large part to the continued partnership between Borough President Diaz, the Bronx Overall Economic Development Corporation and those seeking to do business in the borough. Major projects such as FreshDirect, the Kingsbridge National Ice Center, new retail developments in every corner of the borough and the Cary Leeds Tennis Center in Crotona Park are among the major contributors to the “New Bronx” renaissance, led by Borough President Diaz. Borough President Diaz has also put forward a robust legislative agenda, having led the charge for a new “living wage” law in New York City, which passed in May 2012 and requires developers that receive heavy taxpayer funding for their project to pay the employees of that development a “living wage.” Borough President Diaz has also put forward legislation to create a public registry of felony gun offenders and curb illegal dirt bikes and ATV’s on our streets. The borough president has also implemented several bold health initiatives, including the Bronx CAN—Changing Attitudes Now—program, which aims to make small changes in the lives of Bronxites, leading to greater health improvements in the long term. Borough President Diaz has also sponsored the creation of the Community Board Athletic Leadership League, or C-BALL. The goal of C-BALL is to promote physical activity through basketball while facilitating engagement within our community boards and with city agencies, such as the NYPD. Sponsoring partners include The Coca-Cola Foundation, Montefiore Medical Center and Healthfirst. Since taking office in 2009 Borough President Diaz has provided millions in funding to projects of all types in every Bronx neighborhood, including new technology upgrades to borough schools, green roofs and boiler upgrades, park improvements and more. Borough President Diaz has also created a Public Housing Advisory Council, which meets to discuss and find answers to the issues faced by the residents of the borough’s public housing buildings; and an African Advisory Council, which works with the Bronx African community to resolve its emerging issues and make recommendations on strategies to improve the quality of life of this growing population. Throughout his seven terms in the State Legislature, Ruben Diaz Jr. was a champion for working families in the Bronx. He demonstrated a passion for constituent service, social advocacy and community empowerment balanced with support for sensible, green economic development and job creation programs. He sponsored and secured passage of important and innovative laws to address the consequences of the intolerable levels of asthma in the South Bronx, healthcare insurance fraud, and quality of life concerns. Borough President Diaz has proven himself to be a fearless and tireless advocate for justice and equality for all. A staunch defender of the environment, he is a leading voice against environmental racism and injustice and helped lead the fight to restore the Bronx River. Due to his tireless and relentless advocacy in the case of his constituent, Amadou Diallo – a law-abiding young African Bronx resident who was wrongly killed by four NYPD officers in a hail of 41 bullets – Ruben Diaz Jr. became known around the world for his advocacy for civil and human rights. 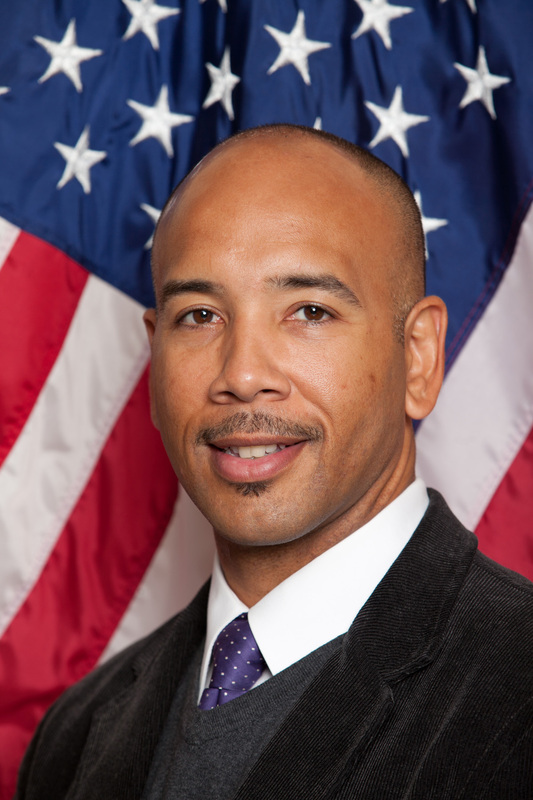 In the State Assembly, Ruben Diaz Jr. served as Chair of the Committee on Election Law and on the Assembly’s Standing Committees on Education, Ways & Means, Children and Families, Environmental Conservation and Transportation. He was also a member of the Assembly’s Puerto Rican and Hispanic Task Force and the Black/Puerto Rican and Asian Legislative Caucus. A lifelong resident of the Bronx, Borough President Diaz lives in the Southeast Bronx with his wife Hilda Gerena Diaz and their two sons, Ruben Diaz III and Ryan Isaiah Diaz. He graduated from Lehman College, City University of New York, with a Bachelors degree in political theory. Borough President Diaz is also the recipient of honorary doctoral degrees in civil law from Berkeley College and Mercy College, and a doctoral degree in humane letters from the Metropolitan College of New York. http://goafricacarnival.org/wp-content/uploads/2018/09/carnival-logo-2018-final.png 0 0 8cws03E http://goafricacarnival.org/wp-content/uploads/2018/09/carnival-logo-2018-final.png 8cws03E2018-05-12 13:34:562018-05-12 13:34:56Bronx Borough President, Ruben Diaz Jr has Proclaimed that 7/14/2018 is officially "Go Africa Day"! Visit MetroPlus Health Plan @ the Street Festival this year! MetroPlus Health Plan offers low to no-cost health insurance to eligible people living in Manhattan, Brooklyn, Queens, and the Bronx. MetroPlus partners with NYC Health + Hospitals to provide primary and preventive care, emphasizing excellent services to our members. Our team is fully engaged, highly motivated, and care about our fellow New Yorkers. 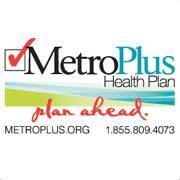 For more information about MetroPlus Health Plan, read our Overview. Since 1985, MetroPlus Health Plan, Inc., a prepaid health services plan, has been offering low or no-cost quality health insurance to eligible New Yorkers. We provide government sponsored health insurance to people living in the Bronx, Brooklyn, Manhattan, Queens and Staten Island through Medicaid Managed Care, Child Health Plus and Medicaid HIV Special Needs Plan (SNP). MetroPlus also offers Medicare plans for people who are eligible for Medicare and receive full or partial Medicaid benefits, and for people with HIV/AIDS eligible for Medicare with or without Medicaid. Our MetroPlus Gold plan covers all New York City employees, including NYC Health + Hospitals employees, non-Medicare eligible retirees, their spouses or qualified domestic partners, and eligible dependents. MetroPlus Health Plan also offers NY State of Health Marketplace plans, a broad range of affordable health insurance products to more New Yorkers than ever before. At MetroPlus, we have a strong focus on primary and preventive care. Together with our providers, we continually work to improve member awareness of preventive services and assist members in receiving these services. Our network includes primary care providers, specialists, behavioral health and OB/GYN providers at over 30,000 sites across New York City. In addition to hospital-based providers, our members can also obtain primary and specialty care services at many community-based doctor’s offices and neighborhood family care sites. Our Care Management Programs help members with chronic conditions stay healthy and provide support to help them manage their illness. Diabetes and Asthma programs encourage members to partner with their PCPs to reduce complications from illnesses and lead healthier lives. Care Management is also available for members with SSI, Behavioral Health, Complex Medical or Transplant issues. MetroPlus Member Services is available in 13 languages, Monday through Saturday, 8 am – 8 pm. MetroPlus also has access to numerous other languages through interpretation services. At MetroPlus, we are committed to assuring access to quality comprehensive health care, health education and customer services to our culturally diverse membership. MetroPlus is certified under Section 4403-a of New York Public Health Law and is a wholly-owned subsidiary of NYC Health + Hospitals. To provide our members with access to the highest quality, cost-effective health care including a comprehensive program of care management, health education and customer service. This is accomplished by partnering with NYC Health + Hospitals and our dedicated providers. To provide access to the highest quality, cost-effective health care for our members, to achieve superior provider, member and employee satisfaction, and to be a fiscally responsible, ongoing financial asset to NYC Health + Hospitals. MetroPlus will strive to be the only managed health care partner that NYC Health + Hospitals will ever need. This will be accomplished by our fully engaged, highly motivated MetroPlus staff. We welcome Charik African Fashion to the Street Festival this year! We are deighted to provide a wide variety of hand made mens and womens shoes, fabrics and art to fit every style and occation. Over the past 20 years we have done just that and there is no solution to African fashion we cannot provide. Exclusive African Shoes, Cloths and Accessories, there is no solution to African fashion we cannot provide. The New York City Human Resources Administration/Department of Social Services (HRA/DSS) is dedicated to fighting poverty and income inequality by providing New Yorkers in need with essential benefits such as Food Assistance and Emergency Rental Assistance. As the largest local social services agency in the country, HRA helps over 3 million New Yorkers through the administration of more than 12 major public assistance programs, with more than 14,000 employees and an operating budget of $9.7 billion. The Department of Social Services (DSS) is comprised of the administrative units of the NYC Human Resources Administration (HRA) and the Department of Homeless Services (DHS). Through integrated management for HRA and DHS, client services can be provided more seamlessly and effectively. The City leverages shared services functions across agencies, which results in better day‐to‐day management and building an integrated mission across agencies. Send an email to the Commissioner. The Freedom of Information Law is New York State’s principal statute on providing for public access to the records of government. FOIL records are available for inspection and copying Monday through Friday, from 9 a.m. to 4:30 p.m., by appointment only. Questions regarding the Freedom of Information Law itself may be directed to the Committee on Open Government. HRA permits nonprofit organizations, associations and corporations to solicit donations for charitable purposes in New York City. HRA administers Public Solicitation Licenses for event producers interested in soliciting for services, products, or charities at their event. These solicitations can take place indoors or outdoors. Outdoor solicitations include pledges to a walk-a-thon/bike-a-thon, or door-to-door canvassing with a kit. Indoor solicitations include contributions taken in a public space, or the operation of a thrift shop, rummage sale, book sale, bazaar and sale of tickets for fundraising purposes. We are again honored that the Honorable Gale A. Brewer, Manhattan Borough President, will serve again as Grand Marshall for the Go Africa Harlem 2018 Street Festival to be held on 07/14/2018 from 10am – 6pm on 116th street btw 7th & 8th Avenues. Gale A. Brewer is the 27th Manhattan Borough President, responsible for advising the Mayor and City Council on borough concerns, commenting on all land-use matters in the borough, advocating for the borough in the municipal budget process, and appointing members of Manhattan’s 12 Community Boards. The Borough President also chairs the Borough Board, made up of City Council Members and Chairs from the Community Boards, and the Borough Services Cabinet, composed of senior officials from City agencies delivering services in the borough. Ms. Brewer previously served on the City Council for 12 years, from 2002 through 2013, representing the 6th Council District which includes most of the Upper West Side and northern Clinton. As Councilmember, she successfully passed legislation guaranteeing paid sick leave for most hourly employees, compelling landlords to fix repeat violations, requiring all City data be published online, and the nation’s first law protecting domestic workers. She was the founding chair of the Council’s Technology Committee in 2002. Immediately prior to her election to the City Council, Brewer served as Project Manager for the NYC Nonprofits Project at CUNY’s Graduate Center, and before that worked for the Telesis Corporation, a private firm that builds affordable housing in New York City. New York City Deputy Public Advocate for Intergovernmental Affairs under Mark Green (1994-1998). Director of Mayor Dinkins’ Federal Office in New York City, managing the administration’s legislative agenda in Washington and a technical assistance program to help community-based organizations obtain federal funds (1990 to 1994). Executive Director of the Mayor’s Commission on the Status of Women (concurrent with the Federal Office, from 1993 to 1994). Chief of Staff to West Side Councilmember Ruth W. Messinger– before Messinger was, herself, elected Manhattan Borough President (1979-1989). Brewer also served on the staff of Lt. Governor Mary Anne Krupsak, the first women elected statewide in New York in 1974 (under Gov. Hugh Carey) and first served in government in the City Parks Department during the Lindsay administration. Brewer has an MPA from Harvard’s Kennedy School of Government, and she did her undergraduate work at Columbia University and Bennington College. She co-teaches a class in urban policy each spring with former Borough President Messinger as part of Hunter College’s Public Service Scholar program, and has taught urban affairs at other area colleges, including Barnard, Baruch, Brooklyn and Queens Colleges. Brewer is married to Cal Snyder; they live on the Upper West Side. Together they have raised many foster children.